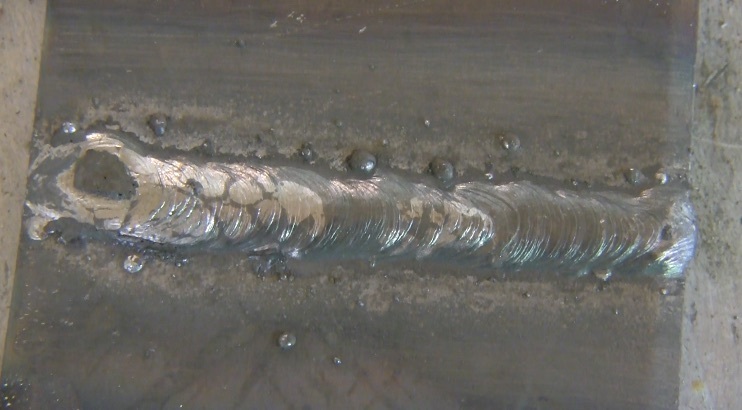 I have never really liked stick welding with 6013 rods. Even though 6013 was the very first rod I ever welded with. I welded beads with 6013 for a few days in school and never saw them again on any construction job. 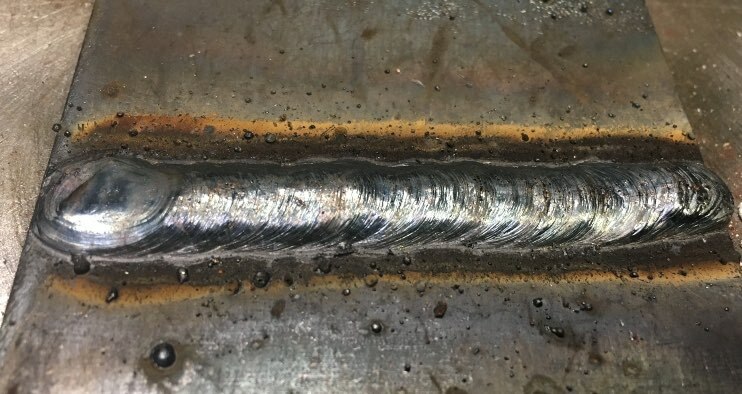 Lots of welding schools start the students off with running beads on plate with 6013 rods before moving on to 6010 and 7018. I guess that is because of the easy restarts. For me, the 6013 puddle is much harder to read than 7018 rods so I guess you could make the argument that if you can learn to read the 6013 puddle, then the 7018 puddle is easy to read. 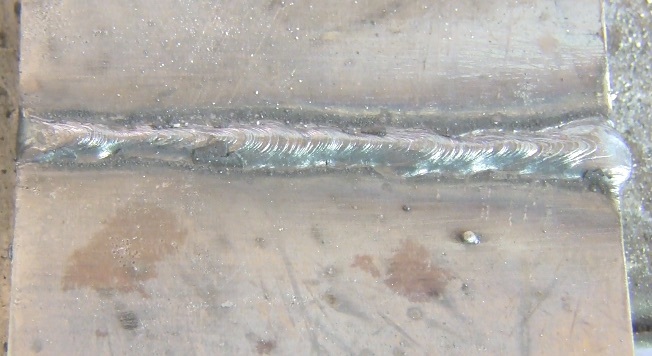 this bead was welded with 115 amps. when amperage is within scope along with all the other variables, the 6013 bead comes out pretty good with uniformity. notice there is some spatter even though everything was in scope. Some electrodes are better than others and I was using some I got from a big box store and spatter just seem to want to happen no matter what I did. I bet there are much better 6013 electrodes available like from Esab, Lincoln, or Hobart. In the flat position, you can get away some long arcing. But when you shift gears and start welding vertical or overhead, a long arc will be a problem. this bead was welded at exactly the same amperage as the one at the top of the page. you might be asking... what is wrong with this bead? I used an extremely slow travel speed and it still looks ok. Using too fast a travel speed can cause lack of uniformity less penetration than needed. 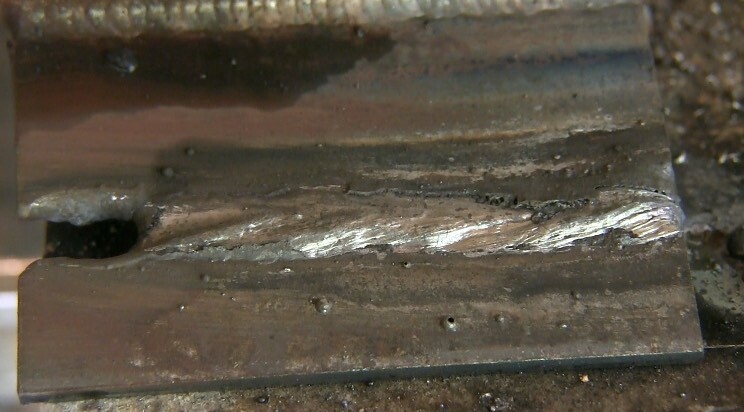 Stick welding with 6013 1/8" at 150 amps usually only works on thicker metal. I blew a hole in this 11 ga piece. 6013 stick rods are not used much at all on construction sites in the USA. 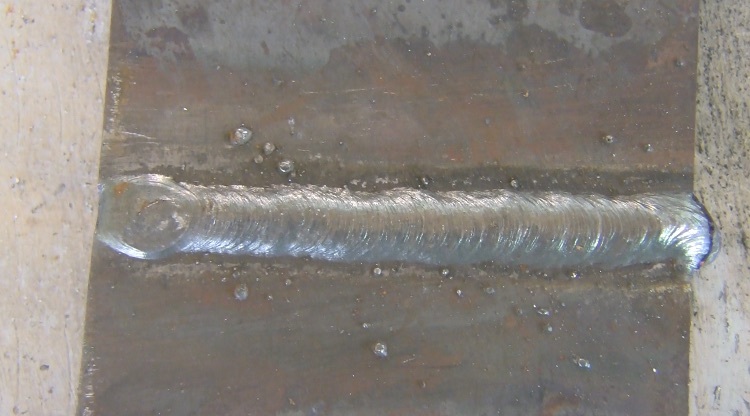 As I mentioned earlier, I learned to weld using 6013 rods for a few days in school and after that, I never saw them on a job site. I have read that 6013 rods are used extensively in other parts of the world for pipe welding and lots of other jobs. So I am trying to keep an open mind and explore the possibilities of stick welding with 6013 rods.